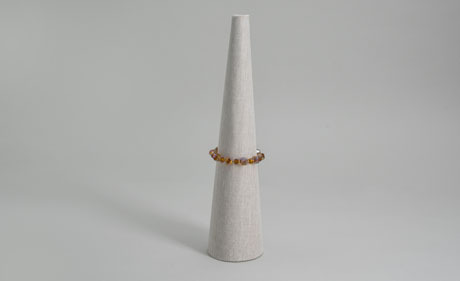 We manufacture an assortment of items to highlight your bracelets. 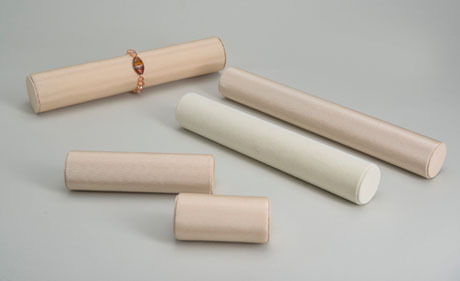 We carry bracelet rolls, T-Bars, Bangle Trays, and much more. 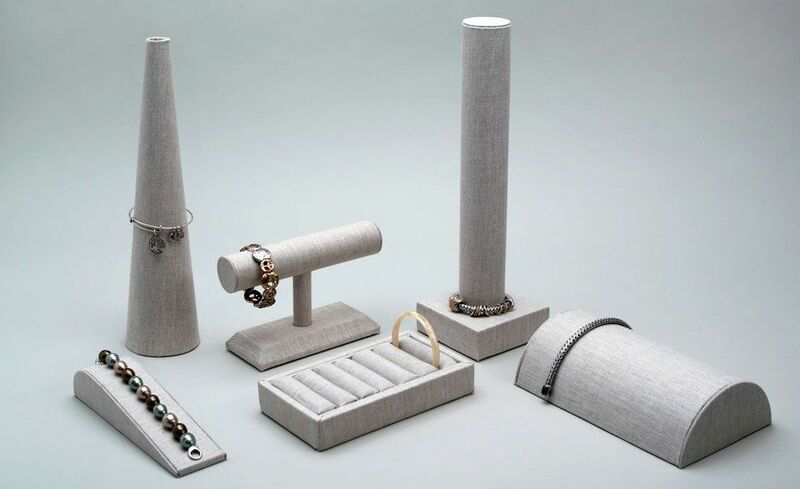 We have thousands of bracelet display variations ensuring you’ll get the display you envision. Rounded dowels. 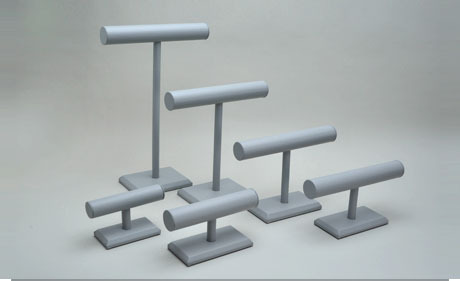 T-Bars can be made to any height and width with your choice of fabric. Oval dowels. T-Bars can be made to any height and width with your choice of fabric. 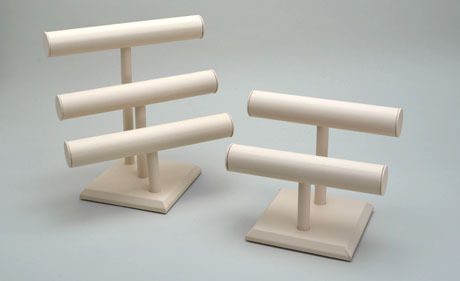 Using rounded or oval dowels, add an extra dimension to your display by adding another tier. Excellent for displaying larger quantities of bracelets/necklaces. 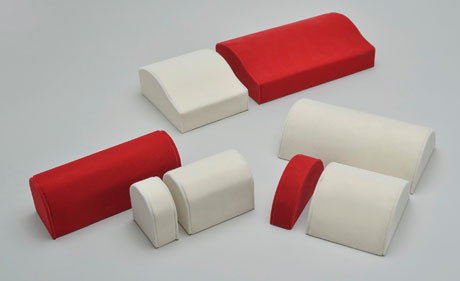 Using a styrofoam base our bracelet humps are lightweight and can be wrapped in your choice of material. We offer various styles for optimal presentation. Our tubes are versatile for displaying bracelets and bangles which can be made in any length and wrapped in any fabric or color. 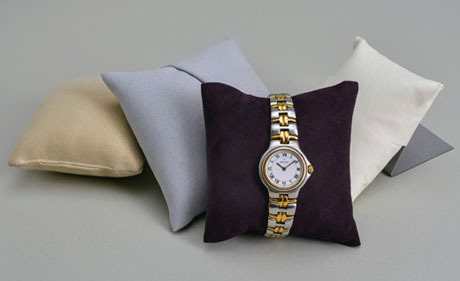 Our pillows are hand-sewn on premises and create an elegant display for your bracelets or bangles. Our standard pillow is 4 x 4 but can be made larger or smaller depending on your preference. Our cones are lightweight, yet sturdy, and can be covered in any fabric. Looks great paired with other bracelet displays. 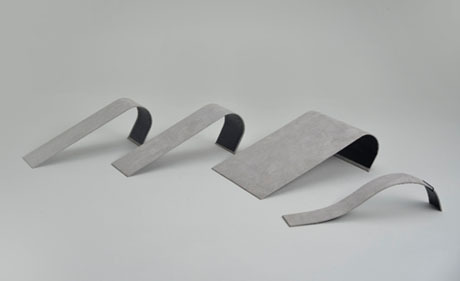 Ramps are made using a metal base. Can be wrapped in your choice of material. 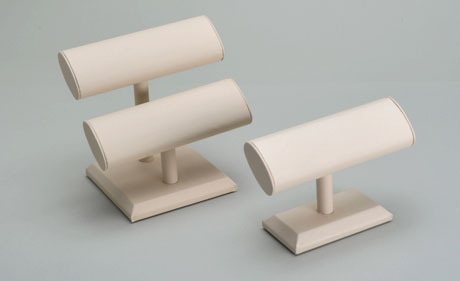 Bangle Display with Bangle Pillows: Comes in two standard sizes for 12 (4 ¼” x 14 ¾”) and 6 (4 ¼” x 7 ¼”) bangles. We can custom make for additional spaces to hold more bangles.